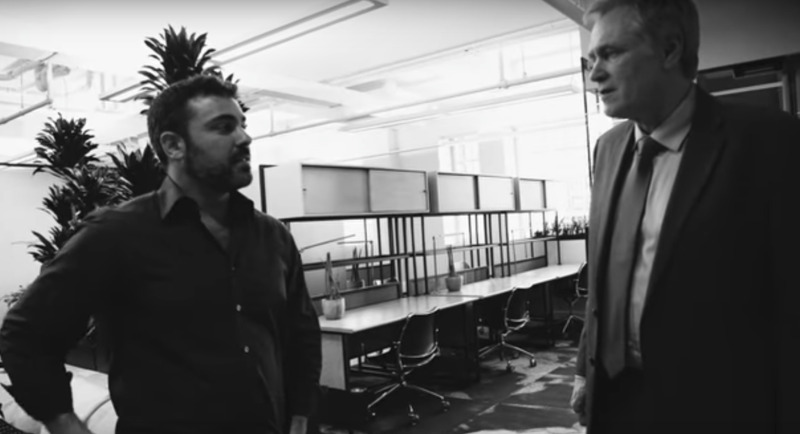 In this video, Mike Maloney interviews Hidden Forces podcaster Demetri Kofinas in an effort to explain the basic technological differences between Hashgraph and blockchain. 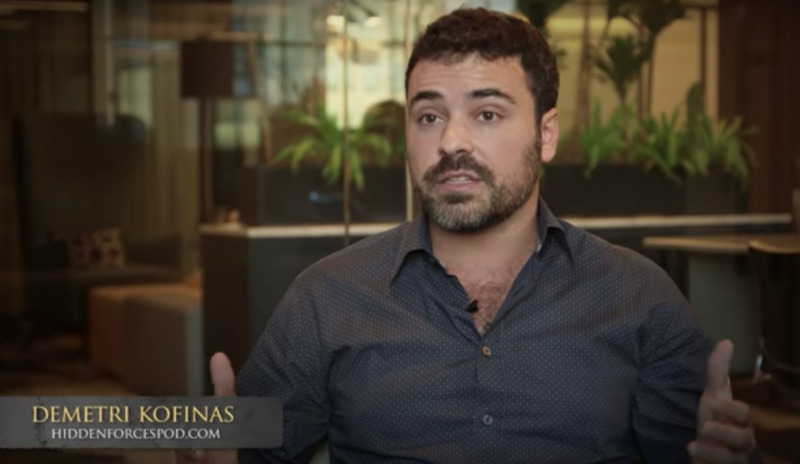 Watch the full video and subscribe to our newsletter for more on the recent happenings in the world of cryptocurrencies. So what’s different about Hashgraph? What even is Hashgraph? Well, it isn’t Blockchain. It’s totally different. In fact, the way it works is a real mindbender and not very easy to explain, but we’re going to give it a try. Are all recorded and time stamped in the network. 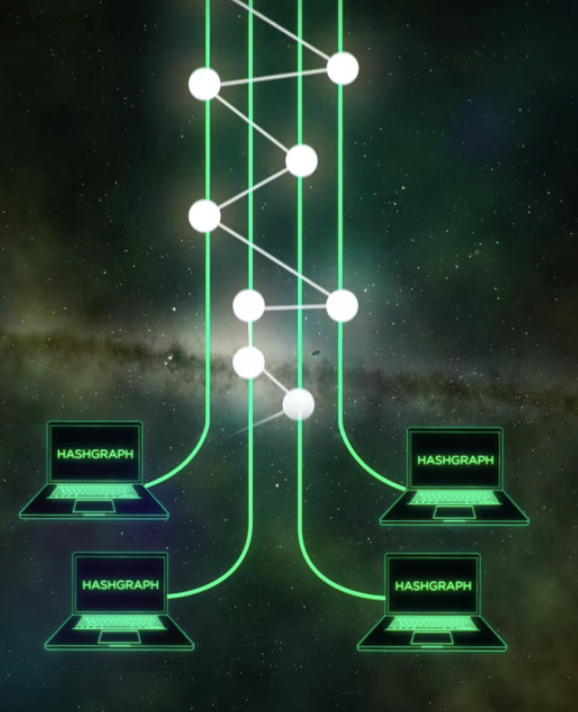 For transmitting information quickly, Hashgraph uses a technology that has been the gold standard in computer science for decades. It’s super fast and it’s called “Gossip Protocol.” Your computer randomly tells another computer in the network about the event you’ve created. That computer responds by telling your computer about any other events it has heard about. Then that computer tells another computer about your event and the other events it heard about. And on, and on. It’s absolutely the best, most efficient way to spread information and it’s unfathomably fast. But here’s the twist. 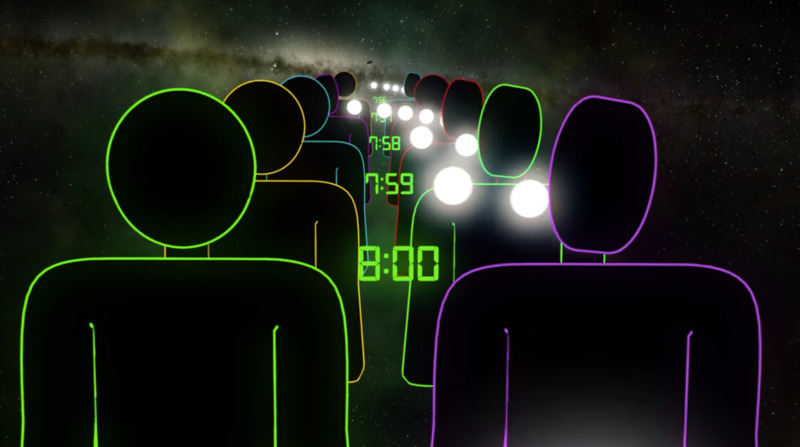 Each time a computer tells another computer about an event, it also includes the information of the time it heard it, and who it heard it from. And the time they heard it; and who they heard it from. And so on and so on. It’s called “gossip about gossip” and it lets everyone know what everyone else knows and exactly when they knew it in just fractions of a second. The other major component is an even older technology and it’s the most robust, secure, and certain way of coming to an absolute consensus. It’s called Voting Protocol. But until now, it was so slow, that nobody ever used it. The twist that Hashgraph has given it is that there is no voting. Instead, because everyone already knows what everyone else knows, you can mathematically calculate with 100% certainty how they would vote. It’s virtual voting and it allows Hashgraph to come to consensus almost instantly. Are much easier to transmit. Because we’re not trying to guess the answer to an incredibly complex math problem, trillions of times per second, Hashgraph uses just a minuscule amount of power. From what I’ve seen so far, compared to the blockchain, Hashgraph is lightning fast, more secure, and probably fair. All events are time stamped the moment they’re woven into the system so the record of whose event came first and whose came second is instant, and there is no such thing as soft forking or unconfirmed events. It can also replace huge portions of the internet that are currently run by centralized servers. By replacing them with the shared computing power of all of our own computers, iPads, and cellphones, it looks like Hashgraph might just have the potential of fulfilling all the original hopes and dreams I had for blockchain technology. The power to decentralize and remove the middleman from commerce, banking, stock markets, and much of the legal system in government, with the speed at which this technology is evolving, the future is looking bright. Hashgraph is the perfect example of just how fast things are moving in this field. The amazing innovation that Leemon has made is that he’s made adjustments to the Gossip Protocol and the voting system in order to make them compatible at scale. Right? Because a voting algorithm can work and you can reach consensus in the exact same way. But in order to deploy that in the real world, the bandwidth constraints would be such that you’d never actually be able to practically use it. But, by incorporating the Gossip Protocol and creating the Hashgraph, and then being able to use that in conjunction with the local data that you have in memory, and running a voting algorithm locally on the computer, without having to cast any votes or send any votes over the internet, you’re actually able to get all the strong guarantees that you get with the voting algorithm but you’re able to do it at scale. That’s what’s remarkable. To be quite honest, it’s hard to imagine how no one thought of it! It’s one of those brilliant ideas that you could have only looked in retrospect and said, “How did no one think of this?” But at the time, no one did. So one of the challenges I think with any new technology like this is how do you really explain it to people. How do you make a compelling case for what makes the technology so compelling? One of the things that’s so compelling about this technology is the throughput. The speed. You can tell people that they’ve tested over 300,000, minimum tested, transactions per second. Versus bitcoin’s three to seven, maximum. But, how do you kind of get that into your head? And I sort of did a back of the envelope calculation. It’s roughly twice the speed of sound relative to a snail’s pace. Bitcoin being a snail’s pace. And this network literally being like a supersonic jet traveling at twice the speed of sound. I mean, just wrap your head around that for a second. It’s remarkable! So you can see the difference. It’s tremendous. Understanding, of course, the speed of the network. The reason why bitcoin is so slow is because they have to make it slow. Because if it’s not slow, it would fall apart. It would branch off everywhere. You’d never have consensus. Now, remember the explanation of the Byzantine general’s problem from earlier? And how blockchain was built to solve it? Here’s something not many people know. Blockchain systems aren’t technically byzantine fault tolerant. They came close, but no cigar. So, I, like many people, assumed that blockchain was Byzantine fault tolerant. And in fact, I didn’t fully appreciate what that even meant. I sort of just assumed it, because I saw it as sort of a larger part of the picture of blockchain being very secure. And not having been hacked. But in fact, it isn’t byzantine fault tolerant. And the reason why it’s not Byzantine is because in order to be Byzantine, there has to come a point in time when you’ve reached consensus, you know you’ve reached consensus, and you know you’ll never be wrong. And you’re never going to change your mind. That doesn’t happen with blockchain. Because of the nature of the network. The geometrical qualities of the blockchain network require you to always sort of recognize that you’re never entirely sure. You’re probabilistically more confident that you’re arriving at consensus, but that’s also why on the blockchain network you need to keep an entire history of the ledger. Because you sort of have to have the capacity to do a forensic analysis in the event that you are mistaken. In the event that the network has forked and you don’t know it. So that’s something that you don’t have to do with Hashgraph. With Hashgraph, you’re coming to a consensus every few seconds. You can dump the entire history of the network’s data. And just keep rolling forward. Because you’re absolutely sure that you reached consensus. That’s the difference. Where Do Distributed Systems Fit In? I think the major problem, the big deal in the blockchain community for years–ever since the community figured out that they could take this protocol that bitcoin was built on, and extrapolate it and use it to build distributed systems such as distributed architecture around storage and computation, and build applications on top of it–is that there was a recognition that it had limitations. It had limitations at scale. The community has been trying to figure out how to address that while at the same time building apps on top of it. Something that Leeman said that really has stuck with me is that while everyone was really busy building apps, they forgot about what the core of distributed technology is all about, which is reaching consensus. What Hashgraph has done is it has revolutionized that process. We can agree about things that we’re communicating about. At scale! That’s a revolution. It’s the biggest revolution since the web. Mike Maloney: And you were just following your heart to do it. Kofinas: Always following my heart. So we’ve been looking at this amazing new technology for about a week now. And what’s so incredibly amazing is that it holds the promise to solve all of the problems that the other distributed ledgers and distributed network systems have. Bitcoin, once it started to scale up, it turned out that it used an immense amount of energy to run the system. Hashgraph solves that problem, which is why we’re so excited about the potential. To learn more, check out the rest of Demetri Kofinas’ HSOM 8 bonus features.